Students receive training in singing, dancing, and acting while rehearsing a musical theatre production to be presented in June of each year. The first semester (September-December) is dedicated solely to skill building, allowing students to gain confidence and skills to ensure their success in the second semester (January-June). Second semester is devoted entirely to rehearsal and production. Costumes are built, props are made, set is constructed and the show is designed with professional quality in mind and scaled to meet the abilities of our performers. All experience levels are welcome and with our small class size we can help each student reach their fullest potential over the course of the year. 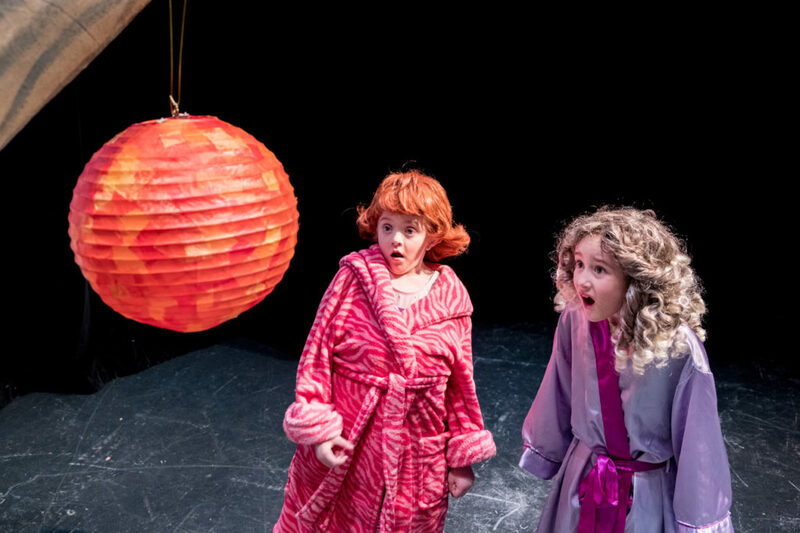 This brand new program is further building the performance opportunities for young and aspiring thespians as part of our Junior Production series. The emphasis on this program is acting and production creation. Students will spend September - December fully immersed in acting technique. 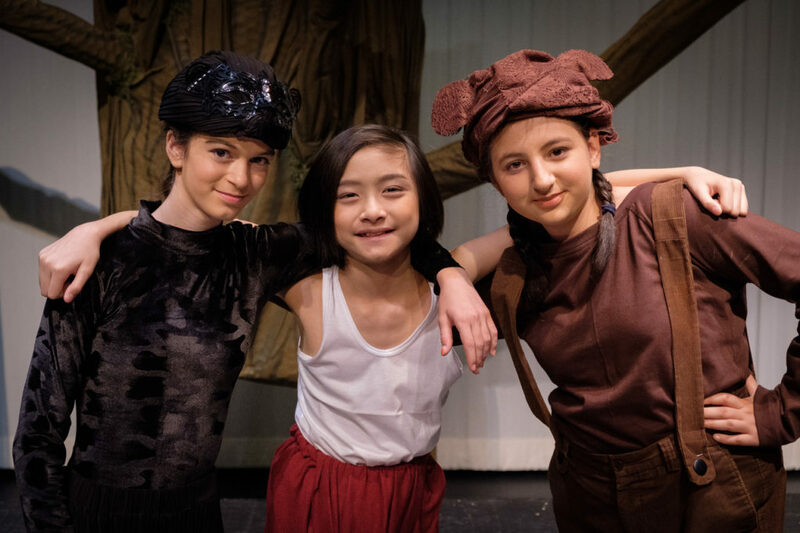 Through game play, group work, and individual exploration students will discover physical characterization, vocal characterization, how to read a script, how to notate their acting work and much more. The first term is an excellent opportunity for all students to get comfortable with their creative input and make friends amongst their cast members before beginning the rehearsal term. From January - June students will rehearse a 1 act play chosen specifically for their group. This play will be a full production with costumes, props, and set, and will be performed in a real theatre as part of our Junior Program Theatre Festival in June each year. If your child has expressed an interest in performing but isn’t yet comfortable with dancing and singing, this is the class for you. All experience levels are welcome and there is no audition. The Intermediate Musical Theatre Program is a year long performance class for students ages 11-14. This class builds a solid foundation in the musical theatre disciplines of singing, dancing & acting. It expands and develops on the knowledge from the teachings of the Junior Musical Theatre Program while also inviting students new to musical theatre to experience all the excitement and satisfaction of preparing a production. The first half of the year is dedicated to building a strong team. 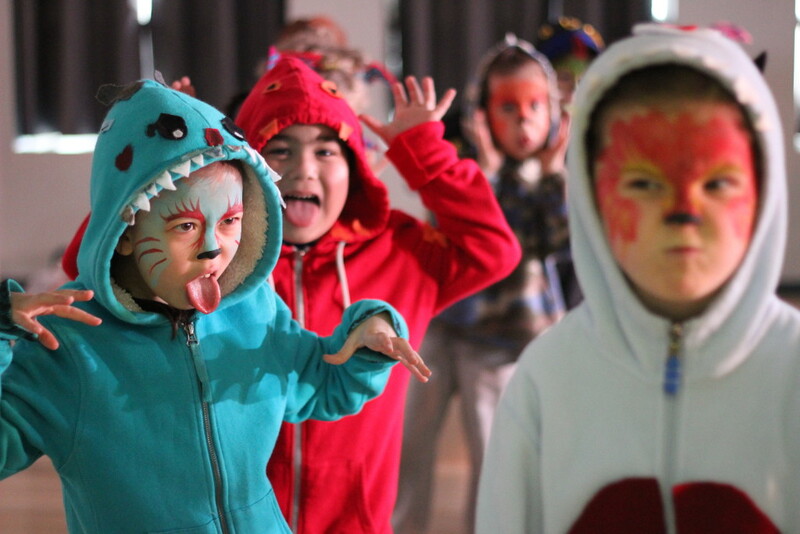 Students focus on acting, singing and dancing technique in both individual and group oriented games and exercises. This technique term will lay the foundation for the rehearsal term. During this time students channel all their theory knowledge towards the rehearsal and performance of a 1-Act Musical as part of our yearly festival in June. Designed to encourage beginners and returning students an opportunity to flex their creative muscles, grow and develop as young artists, make new and long lasting friendships and experience the thrill of storytelling at its finest. Are these programs right for you?! If you know your child loves to sing, dance, and act then this program is for you. The Stage is looking for young performer's of all backgrounds to discover their role in this classic, fun-filled, action packed, musical. No experience is necessary but if you have any prior shows under your belt (including dance recitals, school choirs, school plays etc.) please let us know when you register! There are only 14 spots available in this program every year! Don't miss out, register today! What's included in the tuition? This programs will give you a chance to really get involved in your child's class and show them how important their efforts are and how much you value their experience in the show. We respect the busy schedules that parents but we do ask that you give what you can when you are available. You do not have to be Michelangelo to paint a set nor do you have to be Coco Chanel to sew a costume! We take any and all experience levels and encourage you to step outside your comfort zone and try your hand at a new craft...who knows, maybe you've got some hidden talents! Q. Isn't two or three hours too long for students this age, especially after school? A. Because our classes are so engaging and are meant to meet students at a developmentally appropriate level, we haven't yet had any issues with students finding the class to be too much to handle. Activities are divided between active movement games and more stationary discussion activities. The general feeling of the class is always monitored to ensure that all students are being challenged but not discouraged. With small class and casts sizes we are able to closely monitor how each student is managing the class. The 15 minute break gives students a chance to recharge and socialize with their classmates.